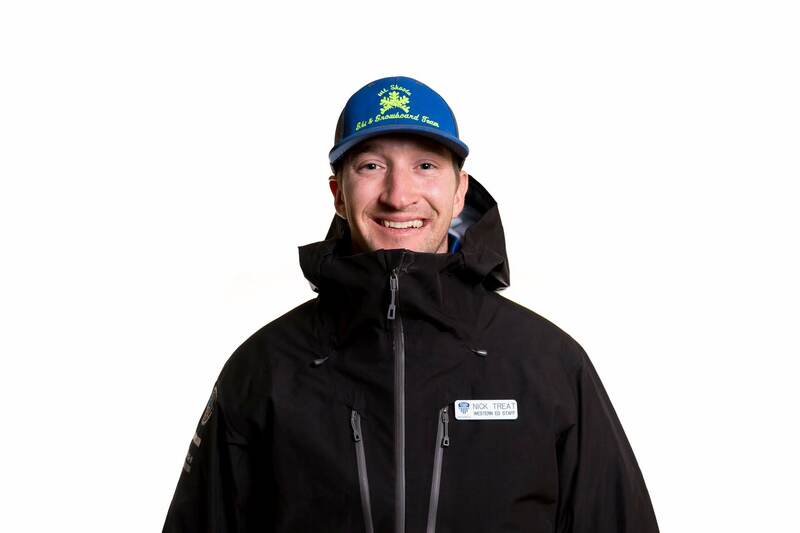 Please welcome Nick Treat to BBSEF as the new Freeski and Snowboard Head Coach. He brings 15 years of coaching experience to the program. In addition to his work with us, Coach Treat works for the Professional Ski Instructors of America, Western Division as an Alpine Steering Committee Member, Level III Manager and Examiner. He is also a Staff Trainer for Squaw Valley | Alpine Meadows. One of Coach Treat’s career highlights is the opportunity to coach Ross Peraudo of Australia in 2011 and 2012 at Perisher Resort in Australia– Ross won the ANZ Cup in Slalom, which designated him a spot on the 2012 Australian Olympic Team and Bib 31 on the World Cup. Treat’s career highlights also include working with the youngest among us. After coaching for 10 years and achieving top level qualifications in both PSIA and USSA, he moved age classes to coach a group of promising Mighty Mite’s at Mammoth Mountain. There he shared strong technical and tactical skills while introducing every different aspect of the sport. Those athletes are now top in there age class among the Far West. Treat’s professional qualifications include: PSIA Level 3, Childrens Specialist 2, and Examiner and a US Ski & Snowboard Level 300.